While I did also suffer from Rosacea I didn't get many spots on my face. I feel your pain. I too am 34 and still dealing with breakouts. I've done the antibiotic, accutane, vitamins, you-name-it route and still looking for answers. How's your diet? Sometimes it's easy to focus on trying to deal with the external and not thinking about the internal. Do you drink plenty of water throughout the day? Have you tried herbal teas (green, red bush, ginger etc.)? Are you eating a low-gluten/low-sugar diet, rich with vitamins from fruit and veg? In terms of skin care, it's hard to suggest something because everyone's skin is different. It might be worth looking at the ingredients in any products you are using and making sure nothing there is going to clog your pores. I recently ditched a moisturizer I have been using for about 3 years (which said ON THE TUBE it was non-comedogenic) as I decided to Google the list of ingredients, only to find 3 of the ingredients were potentially pore-clogging! Drying the skin out is probably just making everything more angry and upset. 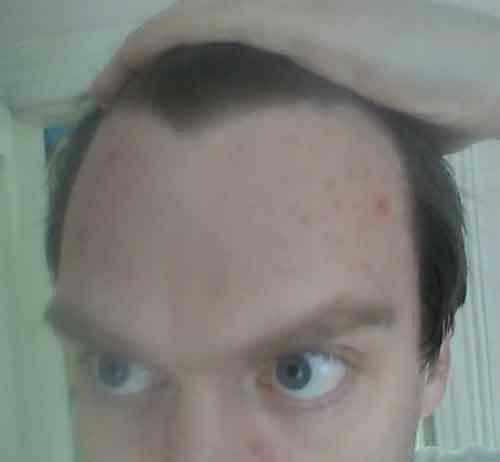 I had issues with my forehead and recently cut out all dairy and have had great success. Limiting dairy was not enough, I had to stop eating anything that contained it.